BAPS Shri Swaminarayan Mandir, London – popularly known as the ‘Neasden Temple’ – observed the UN’s International Women’s Day (IWD) on Sunday 10 March 2019 with an inspiring conference attended by over 1,100 women of all ages. The celebration of IWD by BAPS Swaminarayan Sanstha (BAPS) represents its on-going commitment to women and matters of importance to women, as inspired and guided by BAPS’s spiritual leader, His Holiness Mahant Swami Maharaj. This year marks the tenth anniversary of the celebrations organised by BAPS in the UK. 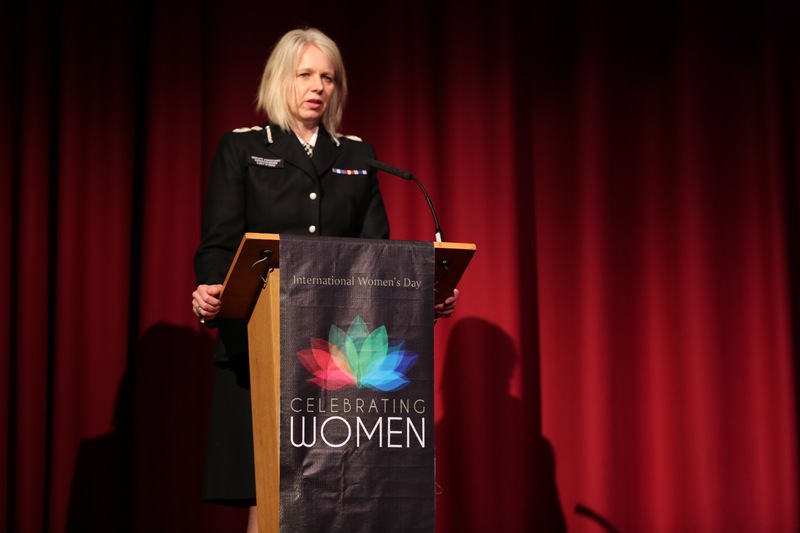 The event began at 1.00pm with the keynote address of chief guest Lucy D'Orsi, Deputy Assistant Commissioner at the Metropolitan Police Service. Ms D’Orsi shared her inspiring experiences of resilience in balancing various roles as a woman and urged others to also fulfil their dreams and duties. 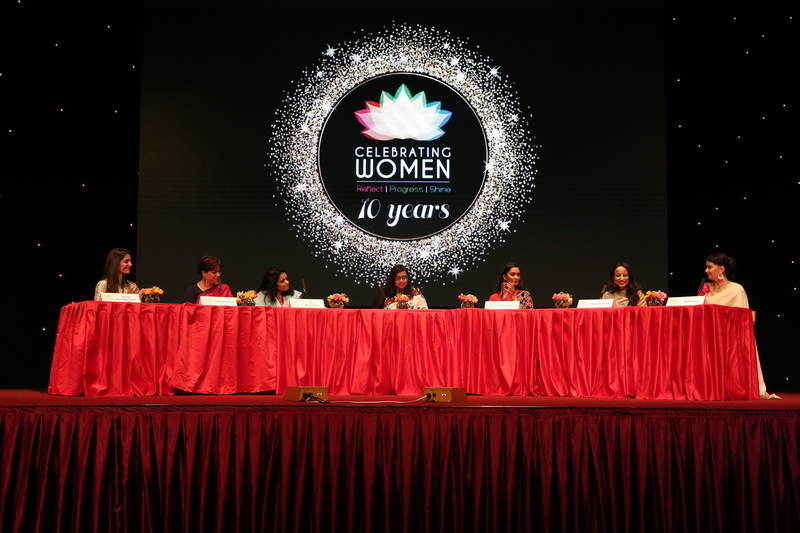 Other distinguished speakers and panellists included some of the most accomplished and esteemed women in the country in their respective fields – Seema Sharma (dentist, entrepreneur, management consultant and philanthropist), Lois Stonock (international cultural and creative consultant), Babita Sharma (TV host, including newsreader for BBC News and BBC World News), Sonal Sachdev-Patel (author for HarperCollinsIndia and philanthropist), Smita Oza (Senior Director of Legal Operations for VeriFone), Abha Thorat-Shah (Executive Director at The British Asian Trust), Lakshmi Kaul (Head and Representative of the Confederation of Indian Industry in the UK), and Rupa Ganatra (entrepreneur, investor, consultant and Founding Board Member of the UK Guild of Entrepreneurs). They spoke about the importance of a positive perspective in times of adversity and encouraged the audience to find opportunity in failure by channelling their inner strength. These themes were artfully conveyed through a series of video presentations, cultural performances, panel discussions, and addresses by eminent guests who shared their inspiring testimonies and experiences. Various interactive stalls provided delegates with an opportunity to harness various life skills relating to health, music and lifesaving. Younger participants enjoyed hands-on activities, including cooking, henna, cosmic painting and other arts and crafts. The conference also included an exhibition of ten elaborate silk scrolls designed and crafted by female members of BAPS in partnership with Kinetika, an internationally renowned arts organisation. The scrolls depict the achievements and values of powerful women in the community. They were produced with the support of Arts Council England from handmade Indian silk using special techniques.